Stuttering is a speech problem which occurs when the speaker is not able to maintain a smooth forward flow of speech and experiences recurrent blocks in the production of speech sounds in conversational speech, particularly when excited or under psychological stress. According to Wikipedia, Stuttering is a speech disorder in which the flow of speech is disrupted by involuntary repetitions and prolongations of sounds, syllables, words or phrases as well as involuntary silent pauses or blocks in which the person who stutters is unable to produce sounds. What are the types of Stuttering? Developmental: It is most common in children younger than 5 years old as they develop their speech and language abilities and usually resolves without treatment; more common in males than females. Neurogenic: It is caused by signal abnormalities between the brain and nerves/muscles. Psychogenic: It originates in the part of the brain that governs thinking and reasoning. Abnormalities in speech motor control : Some evidence indicates that abnormalities in speech motor control, such as timing, sensory and motor coordination, are implicated. Genetics :Stuttering tends to run in families. It appears that stuttering can result from inherited (genetic) abnormalities in the language centers of the brain. Medical conditions : Stuttering can sometimes result from a stroke, trauma or other brain injury. Mental health problems : In rare, isolated cases, emotional trauma can lead to stuttering. What are some of the common signs and symptoms of Stuttering? Problems starting a word, phrase or sentence. Hesitation before certain sounds have to be uttered. Interjection, such as “uhm” used more frequently before attempting to utter certain sounds. How can I cure Stuttering? Some aspects of stuttering are obvious to everyone, while others are not. To have a comprehensive and reliable diagnosis the patient should be examined by a well-qualified Speech-Language Pathologist (SLP). The SLP will note how many speech disfluencies the person produces in various situations, as well as the types of disfluencies. How the person copes with disfluencies will also be assessed, how the person reacts to such factors as teasing, which can exacerbate their problems. The SLP may perform some other assessments, such as speech rate and language skills – this will depend on the patient’s age and history. The SLP will analyze all the data and determine whether there is a fluency disorder. If there is one, the SLP will determine to what extent the disorder affects the patient’s ability to function and take part in daily activities. Assessments for older children and adults are aimed at gauging the severity of the disorder, and what impact it has on the person’s ability to communicate and function appropriately in daily activities. Controlling monitoring speech rate – this may involve practicing smooth, fluent speech at very slow speed, using short sentences and phrases. The person is taught to stretch vowels and consonants, while trying to secure continuous airflow. With practice the person gradually utters smooth speech at higher speed, and with longer sentences and phrases. Patients have higher long-term success rates if the sessions with the SLP are followed up regularly – this helps prevent relapses. Breathing control – as the patient practices prolonged speech he/she also learns how to regulate breathing. Added to this is operant conditioning (controlling breathing, as well as phonation, and articulation (lips, jaw and tongue). Stage 1 (Identification) – the therapist and the patient identify the core behaviors, secondary behaviors, and feelings and attitudes that accompany the stuttering. Stage 2 (Desensitization) – the patient freezes stuttering behavior in an attempt to reduce fear and anxiety – this involves confronting difficult sounds, words and situations (rather than avoiding them), and stuttering intentionally (voluntary stuttering). Stage 3 (Modification) – the patient learns easy stuttering. He/she learns how to apply: a) ‘cancellations’ – stopping a dysfluency, pausing for a moment, and then repeating the word, b) ‘pull-outs’- pulling out of a dysfluency into fluent speech, c) and ‘preparatory sets’ – anticipating words that cause stuttering and using ‘easy stuttering’ on those words. Stage 4 (Stabilization) – the patient prepares practice assignments, makes preparatory sets and pull-outs automatic, and changes the way he/she sees himself/herself from being a stutterer to being a person who speaks fluently most of the time, but stutters mildly occasionally. Some patients have responded well to this type of treatment, while others have not. The patients hear their voice differently. Altered auditory feedback effect can be done by speaking in unison with another person (as groups of people do when they are praying or singing), and blocking out the stutterer’s voice while talking – this is called masking. Some ear-pieces can echo the speaker’s voice so that they feel they are talking in unison with someone else. Most stutterers can sing flowingly without stuttering – it seems that talking in unison with someone else often has the same effect as singing on a stutterer. Does anybody who stutters succeed in life? Friend, in our total span of life, we face several problems. Stuttering is one of those problems. But we must believe without ourselves that stuttering or any other problem, that you have, cannot supress you from achieving your true potential. Remember, it does not matter how hard you get hit, it matters how hard you can get hit and keep moving forward. You are better and much stronger than your problems. I am sure you will overcome your problem and achieve your true potential in your life. •	Claudius Cesar – Roman Emperor. •	Philip Larkin – Poet, author, critic. Hi! I am Kingshuk Kundu,17, ‘A student of Life’. God bless you! Seek Him and He will be found! A very nice post! You studied a lot about stuttering, and looked up all the famous people who also had stuttering problem. I appreciate your effort. Thank you for your follow. I always follow back! My sister dealt with stuttering through her childhood and thankfully this left her as she became older. God is good. I enjoyed your post. Thank for sharing this. I’m 25 and I’ve been stuttering since I was 4. It hasn’t been an easy journey, but it prayer; patience; and perseverance I have grown so much in spite of it. I knew a lot of famous people who stuttered, but I didn’t know former U.S. presidents stuttered as well. 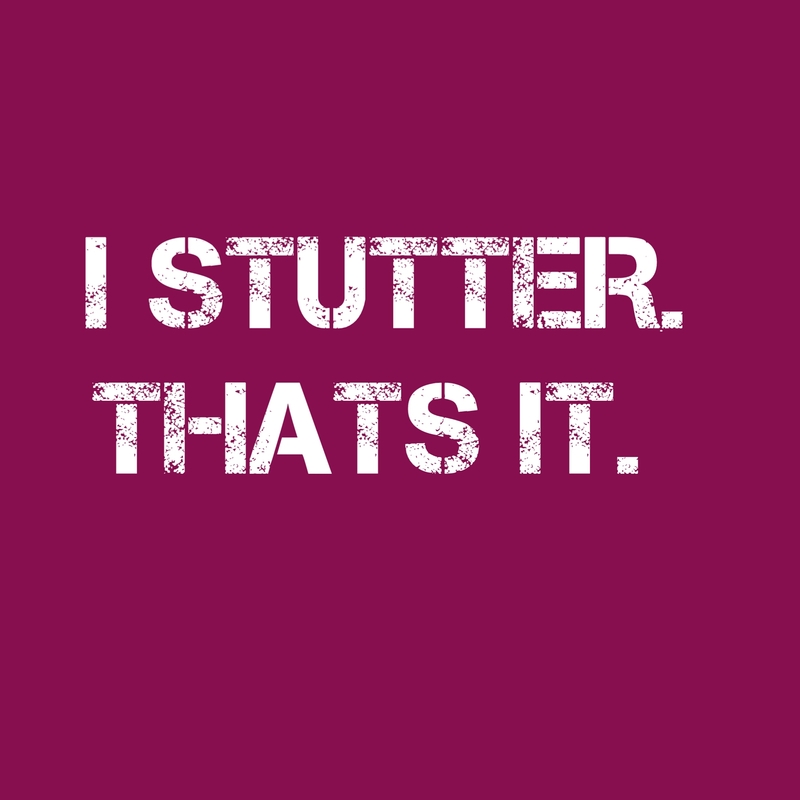 I grew up with a horrible stutter… I even clicked (back of the throat). Thank God I overcame it. Stuttering is something that debilitates you. I still may do it every blue moon. All in all, great article.